National Rose day is coming up and we have the perfect way to ring in the celebration. The iconic French Champagne house Moet & Chandon is kicking off the tasty day with an inaugural event at the spacious Saddlerock Ranch in Malibu, CA. You’ll be surrounded by gourmet food trucks, all hand selected by Iron Chef Marc Forgione and beautiful art installations. They’ll also be music by celebrity DJs Zen Freeman, Devin Lucien and Caroline D’Amore to keep the party going. Ticket holders will enjoy local food trucks like Baby’s Badass Burgers, Pink Tacos, Cousins Maine Lobsters, Okamoto, Vivace Kitchen, and more. There will be a ton of Instagram-worthy moments and numerous activities set against the stunning backdrop of Malibu. Sounds amazing right? Enjoy a fun-filled relaxing day while sipping on Moët & Chandon’s Moët Imperial Rosé, Moët Grand Vintage Rosé 09 and Moët Imperial Ice Rosé—a champagne designed specifically to be enjoyed over ice. A portion of the proceeds will be donated to the Art of Elysium. Grab tickets here. See you there. 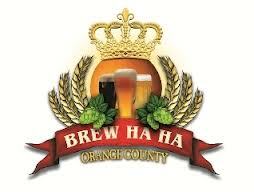 The setting was a bit different this year, tucked beside the hills along the Irvine Lake but OCBrewHaHa continued to deliver a great time….